For research use only. Not for use in humans. Ipilimumab (anti-CTLA-4) is an immunomodulatory monoclonal antibody directed against the cell surface antigen CTLA-4 and also a type of immune checkpoint inhibitor. MW : 148 kD. 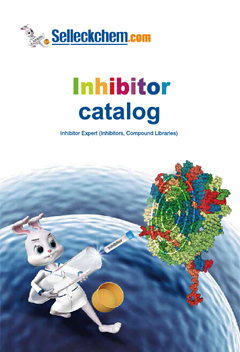 Ipilimumab (anti-CTLA-4), is a fully humanized IgG1k monoclonal antibody produced by recombinant DNA technology in a CHO mammalian cell expression system, binding with high affinity to the extracellular domain of human (and Cynomolgus monkey) CTLA-4, and acting as an inhibitor of its complex functions. This essentially results in T-cell activation and proliferation, and in lymphocyte infiltration leading to tumor cell death. However, the enhancement of T effector cell function, combined with the inhibition of CD4+ Treg and CD8+ suppressive cell types, are considered essential for mediating the full therapeutic effects of ipilimumab. Ipilimumab can improve ATC proliferation, enhance the BiAb-mediated tumor-specific cytotoxicity, and increase cytokine synthesis, while it attenuates Treg activity as shown by decreased level of IL-10 secretion and reduced Treg population. Ipilimumab and nivolumab treatments could collaboratively enhance effector and memory T cell responses without inappropriately activating naive T cells. Ipilimumab (anti-CTLA-4) is shown in phase III clinical trials to have a survival benefit in metastatic melanoma that is durable in 10% to 20% of patients. Conceivably, the main adverse effects of ipilimumab are autoimmunein nature. Ipilimumab enhances antitumor immunity by inhibiting immunosuppressive activity of regulatory T cells (Treg). Method: hPBMC were stimulated with anti-CD3 monoclonal antibody with or without ipilimumab and expanded for 10-14 days. ATC were harvested and armed with anti-CD3 x anti-EGFR BiAb (EGFRBi) or anti-CD3 x anti-CD20 BiAb (CD20Bi) to test for redirected cytotoxicity against COLO356/FG pancreatic cancer cell line or Burkitt’s lymphoma cell line (Daudi). Method: PBMC from normal healthy leukophoresis donors were seeded at 1×105 cells/well and stimulated with superantigen staphylococcal enterotoxin B (SEB) serially diluted 30-fold from 2.5 μg/mL. Ipilimumab, Nivolumab or huIgG4 isotype control was present at a spike concentration of 10 μg/mL. IL-2 secretion was measured by ELISA on day 3. Hu-Lieskovan S, et al. J Clin Oncol. 2014, 32(21):2248-54. Giuseppe Tridente. Adverse Events with Biomedicines, 2013, 251-261. Yano H, et al. J Transl Med. 2014, 12:191. Selby MJ, et al. PLoS One. 2016, 11(9):e0161779. Store at -80°C and avoid freeze-thaw cycles.